The cold and wet weather has been in full force recently and it is predicted that it is going to be the coldest winter in 8 years!! Whether we have a White Christmas, or not as is usually the case, boosting and supporting ones immune system is firmly on the agenda and Ocean Spray Cranberry Juice* is going to help do that. So what is so good about cranberries? Well the humble little cranberry isn’t just for being smooshed and dolloped onto the side of your roast turkey dinner. Not only do they contribute to whole body health, particularly when it comes to our immune system, they are also rich in powerful nutrients including vitamin C. In fact one 200ml glass of Ocean Spray Cranberry Original juice a day provides you with 60% of your recommended daily dose. Talk about one of Mother Nature’s Superfruit! 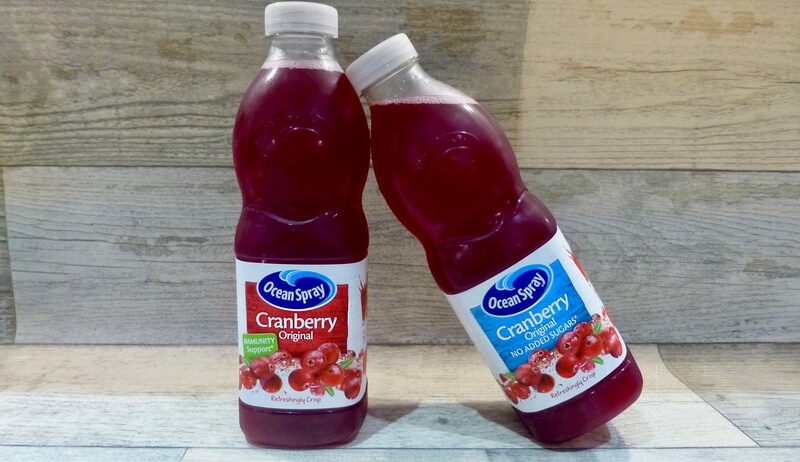 What is the difference between an Ocean Spray Cranberry Juice and just another carton of cranberry juice? It is all to do with its origin and its cranberry content. Who knew?! Surprisingly the amount of cranberries isn’t the same across the board. 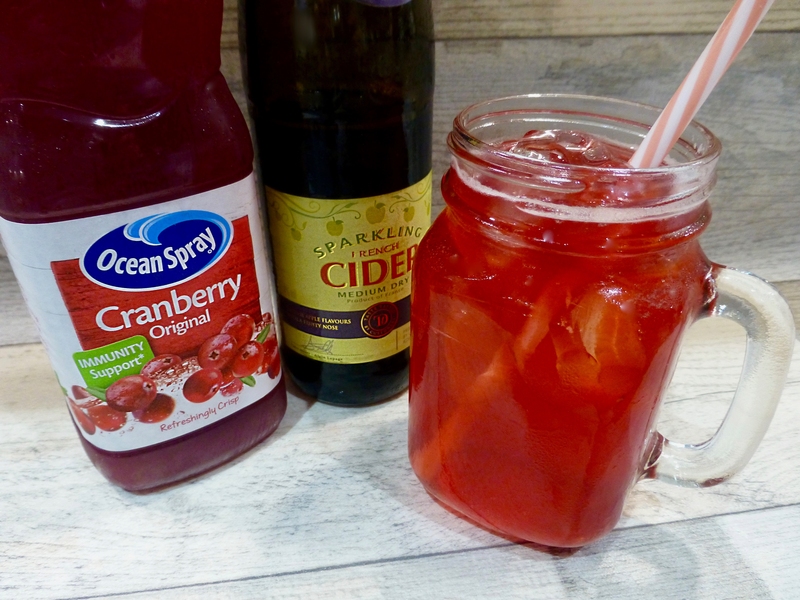 However each Ocean Spray Cranberry Original juice drink always provides at least 27% cranberry juice, which is equivalent to the juice from 50 cranberries per 200ml glass or 250 cranberries per litre. Both juices are also free from artificial colourings, flavourings and preservatives. Ocean Spray cranberries are grown by a cooperative of cranberry farmers with more than 80 years of tradition and experience. The cranberry bogs are something of a wonder, honestly if you ever get to see one they are pretty magnificent, especially when the colour peaks! I’ve been drinking Ocean Spray Cranberry Juice for years but now it not only has a new look with recyclable PET bottles, they are also available in chiller cabinets in Asda, Waitrose and Sainsbury’s and are £2.19 for a litre. I tend to mix it up between Ocean Spray Cranberry Original when drinking it plain because frankly it’s tasty as hell, and the No Added Sugar version when mixing it, mostly that involves a Cosmopolitan! So when just a glass of cranberry juice isn’t going to cut it anymore or if you are wanting to incorporate it a bit more this festive season there are a number of ways to enjoy a glass. As you can see here’s the Cranberry and Apple Cider recipe from their website and boy was it a gooden! Fancy giving it a go? Here’s the recipe. Fill a glass with ice. Add 240ml Ocean Spray Cranberry Original ® or No Added Sugar Juice Drink. Top up with sparkling cider. Garnish with lime wedge. For more recipes visit their website here. I’ve earmarked the Malibu Shore and Cranberry Prosecco Fizz for our Christmas Cocktails list!